Bettertex Interiors is the Leading provider of custom upholstery, re-upholstery, custom slipcovers, custom Draperies and other interior services in NYC -- Our custom workshop and showroom is located in Soho, NYC. Our skilled and experienced craftsmanship in the upholstery and custom-window Treatment business makes us a designer’s secret and a premier choice for New York’s Magnificent Circle. With over 25 Years experience, our family owned business is sure to live up to its quality and high performance reputation! At Bettertex, we customize all work exactly to your requests. We ensure that any project – whether for a luxury home, commercial business, photo shoot, showroom, or anything else – is in perfect condition with a smile from the customer. 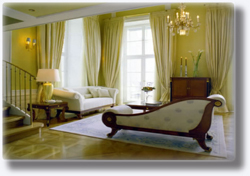 We work with the top designers in New York City for all custom-made projects in their clients’ homes. If you are a designer and would like to use our services, please click here. Bettertex also supplies many commercial clients with custom-made work, including window treatments in restaurants, office space, showrooms, photo/movie shoots and much more! To learn more about our commercial services, please click here. 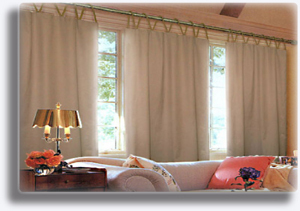 At Bettertex Interiors Inc., we work on a variety of interior design projects. We are dedicated to providing our clients with prompt, professional and friendly service.